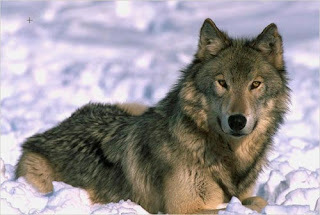 True Wild Life | Wolf | The wolf is thought to be an ice age survivor, dating wolves around 300,000 years ago. The wolf is accepted to be the ancestor of the domestic dog as the wolf is thought to have selectively bred in order to breed appealing traits typical of puppies and to eliminate the not so appealing traits of adult wolves. The grey wolf is a highly adaptive animal found in all kinds of terrain. Wolves inhabit forests, deserts, mountains, tundras, grasslands and even urban areas with the wolf being a particularly dominant and ruthless predator within it's environment. They vary in color from pure white to pure black and every shade of brown and gray inbetween. At one time the wolf had the widest distribution of any mammal. The biggest wolves on earth live in Alaska and average 125-135 lb. One specimen was taken that weighed 200 lb. The smallest wolves live in Iran and average about 60 lb. The wolf lives to be approximately 10 years old in the wild. Wolves live in packs that generally consist of the alpha male wolf, his mate the alpha female, and their offspring of various ages. Other wolves may also join, but it is the parents that are the leaders. 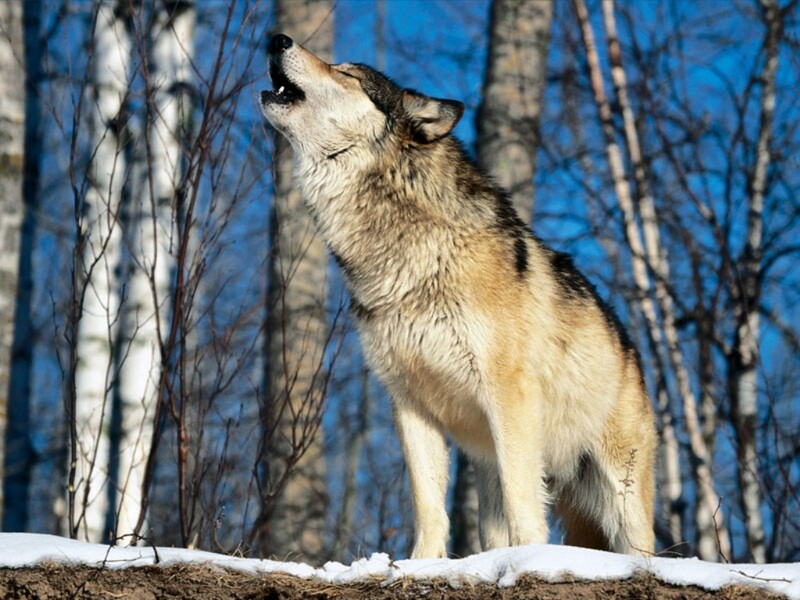 The wolf has no real natural predators; their biggest threat is other wolf packs on adjacent territories. 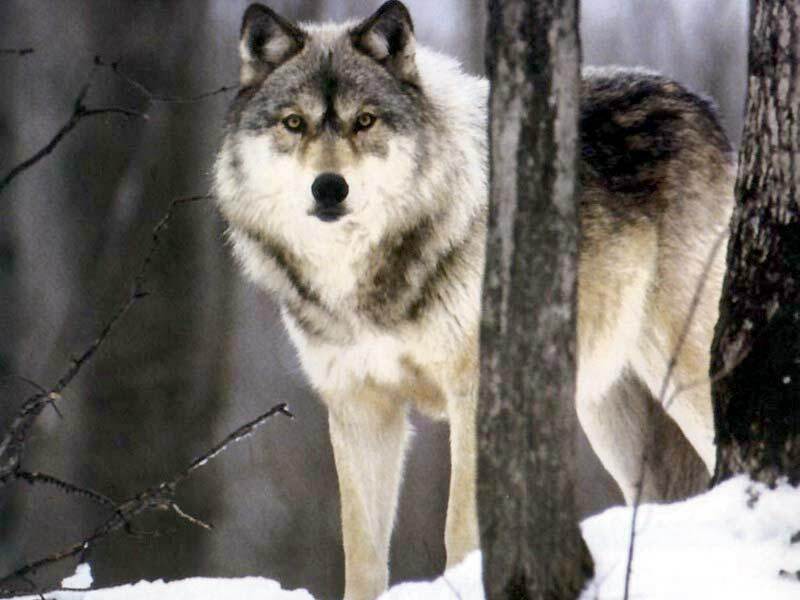 The wolf has been known to live up to 20 years old in captivity. Wolves are carnivorous animals and generally hunt large animals but wolves will also hunt smaller animals if they are need of their daily meal. Wolves hunt together in their packs and work together as a team in order to catch and kill a large animal such as moose and deer. Wolves are opportunists and will not waste their energy chasing a healthy deer 10 miles when an injured or sick one is available. 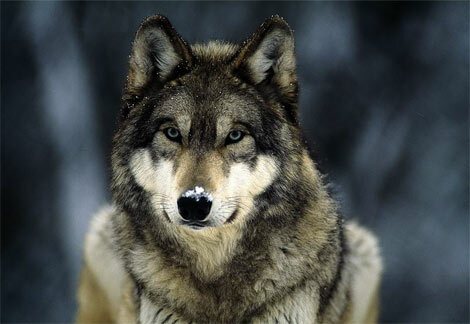 The native Alaskan peoples call the wolf the "wild shepherd of the caribou". Wolves have a layer of thick fur which is particularly needed for those wolves that inhabit areas of the Arctic circle where it can be extremely cold. It is during the winter months in these areas that calories are most critical . Larger animals such as elk and deer suffer greatly from the cold and lack of food to eat and it is during this time that the prey of the wolf is at its slowest and therefore is easier to catch. Wolves are considered to be an endangered species today as wolves have been widely exterminated from their former ranges by hunting, poisoning, and trapping to procure their fur and to protect livestock. Wolves have also been severely affected by habitat loss and have been pushed into smaller and smaller territories where the food source may not be plentiful enough to sustain a hungry wolf pack and where heavy inbreeding occurs. Wolves tend to mate in late winter to early spring and the wolf cubs are born are born a couple of months later when the weather is warmer and prey is abundant. The wolf cubs then have the rest of the year to grow stronger in order to be able to survive their first cold winter. Wolf cubs stay with their mother in the wolf pack with the male wolf cubs often leaving to form a pack of their own. Wolves can interbreed freely with dogs, redwolves, coyotes, and jackals to produce fertile offspring. This is a case of incomplete speciation. There are physical, behavioral, and ecological differences between these species, but they are fully genetically compatible. None of the animals in this group can breed with foxes, which are too far separated genetically. i tried a lot of time to have some pictures of wolf and when ever I came near by I got scared. But definitely one day I will make it. Such beautiful creatures, as all animals are. But because of human ignorance and selfishness we are destroying something valuable. Where I live wolves are BIG. Because I live out in the middle of nowhere in the country and one night wolves were howling right close by. When I got out next to the neighbor's field, I saw fresh wolf tracks, and later a wolf running away in the middle of the field. I investigated with my three dogs and my camera. there were two sets of tracks going opposite directions on the road. One set of tracks was from a wolf that had paws almost six inches long. The others were bigger, six and a half inches long, as long as my hand!!!!!!!!!!! I took pictures of them. I love wolves so much and am thrilled to be able to study these wonderful magnificient creatures. And please belive me, I swear I am telling the truth and not exxagerating. I love wolves and it makes me sad that such a beautiful creature is endangered because of humans.